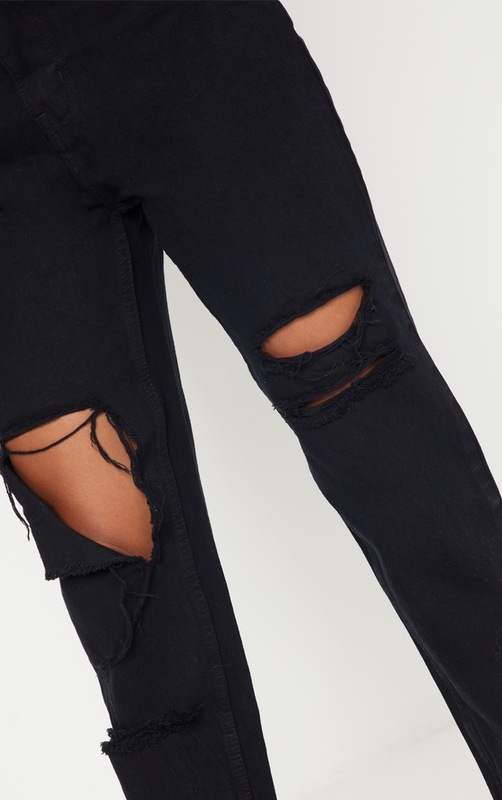 Rock these distressed jeans this season girl. 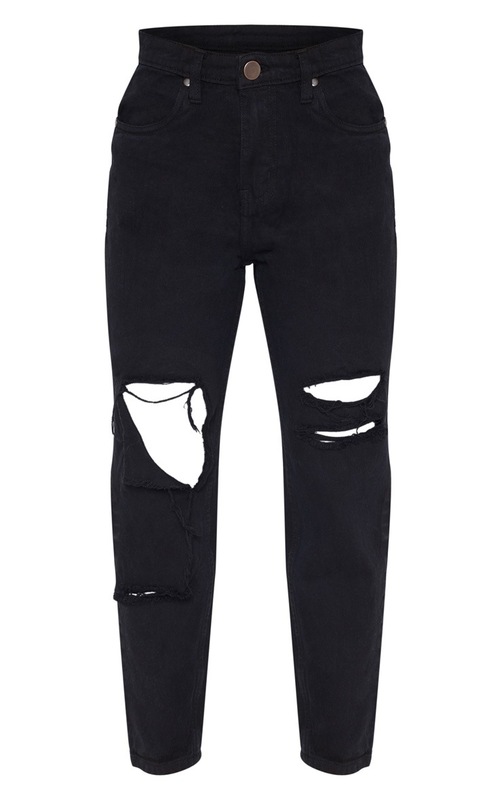 Featuring a black denim material with a ripped distressed detail and a button and zip fastening. 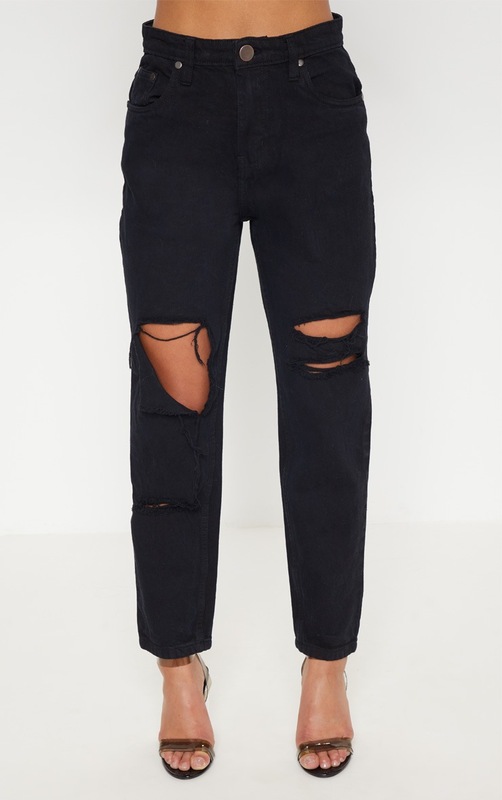 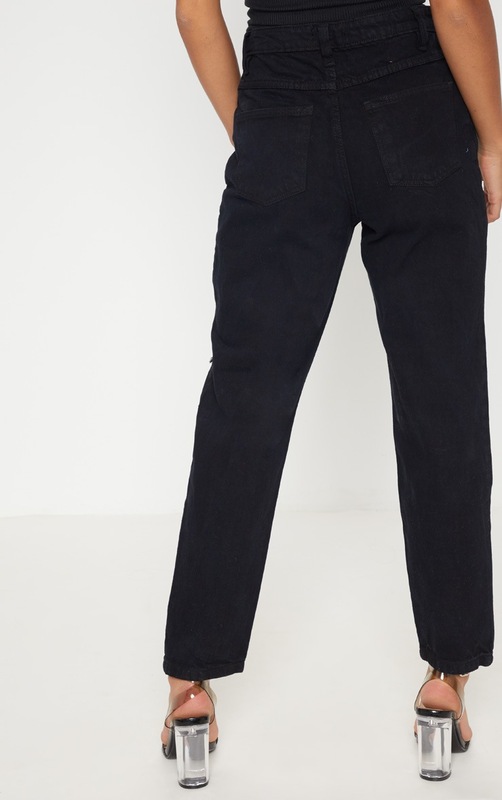 Style these jeans with a bodysuit and block heels for a day to night look.